Shenandoah National Park Fire Managers plan to burn 500 acres Sunday, May 1 and Monday, May 2, weather permitting. The area is in the park's south district, west of Jarman Gap and northeast of Waynesboro, Virginia. The Jarman Gap Prescribed Burn aims to reduce hazardous fuels and the threat of a major wildfire. The burn will also help oak and pine communities. The forest of chestnut oak, pitch, Virginia and table mountain pines provides valuable habitat for a variety of wildlife. The fire will help to promote oak and pine regeneration, additional animal food sources and increased plant diversity. The fire will mimic natural processes as much as possible. It will be lit in such a way that the fire will move fairly slowly down the ridges with low flames. There will be smoke. Some individual trees will burn, but the fire will travel mostly across the forest floor. During the burn, one trail will be closed to the public, Gasline Road. You may or may not recall this story from early last month, as it was not widely reported, but four hikers suffering from hypothermia had to be rescued in the Smokies by a couple of Appalachian Trail Ridgerunners. The report (below) comes courtesy of the latest Friends of the Smokies email newsletter. The report was written by Doug McFalls, a name you might recall associated with the LeConte Lodge. Doug was the winter caretaker for the lodge during the 2009/2010 winter. He gained some notoriety by blogging about his experiences atop the mountain. He's since launched another blog, called Reflections Of The Smokies, and volunteers as a ridgerunner. "We were involved in the rescue of 4 hikers on their Spring Break from FSU at the Double Springs Shelter. Caleb and I turned them over to Park Rangers at Clingmans Dome Parking lot. The hikers were all dehydrated and from mild-moderate to moderate-severe Hypothermia. One had an injured knee. The weather conditions were severe with high winds and heavy rains Friday and Saturday turning to snow, ice and high cold winds on Sunday." Hiker #1 6'2" 180 lbs. 21 year old white male. Mild to Moderate Hypothermia. Dehydrated. Complained of a hurt knee but could walk ok. All his clothing was wet and cotton. He was wearing leather loafers (boat shoes). Hiker #2 6'3" 200lbs. 24 year old white male. Moderate to Severe Hypothermia. Vomiting due to Hypothermia. We found out that at one point in the night (Hiker #1) had got in [friend's] sleeping bag with him to help warm him up. Hiker #2 was Dehydrated as well. His clothing was wet and all cotton. We immediately got him out of his wet clothing and into some of our dry cloths including wool socks and fleece hat. Caleb put him in his 0 degree sleeping bag. We started hydrating Hiker #2 with watered down gator aid to try and get fluids and electrolytes in him. At this point we decided that we had to evacuate these hikers. Hiker #3 5'6" 160lbs. White male. Mild Hypothermia. Dehydrated. Wet clothing. Tennis shoes. Hiker #4 5'6" 160lbs. White male. Mild Hypothermia, Dehydrated. Wet clothing. Tennis shoes. We contacted dispatch and informed them of the situation. Gave all the information we had. Informed of our decision to evacuate the hikers. We continued to hydrate the hikers. We got the hikers into as much of our dry clothing as we could without jeopardizing our own personal safety. We tried the best we could to get them into a dry base layer of clothes, wool socks, hat, gloves. While we were getting them hydrated and feeding them carbs Caleb fashioned Gaiter/Socks out of trash bags and duck tape to protect their feet. After dispatch coordinated with law enforcement we got the go ahead to leave Double Springs Shelter en route to Clingmans Dome Parking lot. (aprox. 3 miles). We left at aprox. 1000. In about 8" of snow and 20 degree temps. I hiked lead and Caleb hiked sweep. We stopped about every 10 to 20 minutes to make everyone drink-eat and evaluate conditions. [One individual] got weaker and complained of more knee pain so Caleb carried his pack the last 1.5 miles. We arrived at Clingmans Dome Parking lot at aprox. 1330. We hiked through 8 to 12" of snow, 2-3' drifts 10-20 degree temps and high wind. We tried to get out of the wind and await the Ranger's arrival at the Clingman's Dome Information Center. We turned our hikers over to the Rangers and rode down to Newfound Gap in 4 wheel drive trucks behind two snow plows. We debriefed at Newfound Gap and asked our hikers to pass on all that they had learned." I can't help but comment on how completely unprepared this group was. I realize accidents happen beyond the control of many situations, but these guys were literally asking for trouble. Fortunately they had the two ridgerunners to help them get out of their predicament. Who knows what would've happened without those two volunteers. Friends of the Smokies relayed this story because they wanted to point out that the ridgerunner program is one of the services they help to fund. It takes $38,700 to support the Appalachian Trail Ridgerunner in the Smokies. In fact, they provide more than $1.2 Million dollars to the park - money that goes towards programs and projects that help make the Smokies one of the premiere parks in the NPS system. Friends of the Smokies can always use your help by making a donation. If you would like to learn more about the projects Friends of the Smokies helps to fund, and to contribute, please visit their website for more information. On April 26th and 27th, a 300-mile stretch of the Natchez Trace Parkway was impacted by several major storm systems. An estimated 10,000 trees were blown down by high winds within the boundary of the park, including hundreds on the parkway itself. A single 10-mile section took park crews most of a day to clear. One visitor was killed as a tree was blown over onto his tent. Park staff handled about 350 calls for service, ranging from downed trees to stranded visitors, flooding, and numerous motor vehicle accidents. No other major injuries or fatalities occurred despite having over 10,000 travelers on the parkway. Damage assessments are continuing. NPS Digest is reporting this morning that a former Great Smoky Mountains National Park seasonal employee has been sentenced in federal court in Kentucky for taking a deer and a bear in the park while working there in 2009. Jason Taylor, 25, pled guilty in April to three counts of violating the Lacey Act by unlawfully transporting taken wildlife – specifically, a black bear skin and an eight-point set of antlers – from the park to his home in Edmonson County, Kentucky. He admitted that he’d shot the animals while working in the park. Taylor also aided and abetted the fraudulent use of a social security number to obtain a “confirmation number” from the Kentucky Department of Fish & Wildlife Resources for the deer he killed in the park. Following a plea agreement, he was ordered to pay $3,000 in fines and restitution and was banned from hunting or accompanying anyone while hunting anywhere in the world for two years. The case was investigated by the National Park Service, Kentucky Department of Fish and Wildlife Resources and the U.S. Fish & Wildlife Service. As a result of fallen trees from strong overnight storms, the Little River Road between Metcalf Bottoms and the Townsend "Wye" is temporarily closed. Additionally, both the Foothills Parkway West and the Chimneys Picnic Area are also closed due to downed trees. You should also note that the Beard Cane, Cooper Road, and Ace Gap trails in the Abrams Creek area continue to be closed. As a result of numerous downed trees from prior wind storms, portions of these trails are currently impassable, and the park is asking that hikers avoid these trails until they are cleared. The Appalachian Trail Conservancy (ATC), in collaboration with Williams Forrest, a premium technical services agency, launched a new website yesterday, featuring a fresh new design, updated photos and content, and overall improved user experience for the hiking community. This new site captures the feel of the Appalachian Trail (A.T.), while communicating what the ATC is all about and providing information about hiking, volunteer opportunities, and how to give back to the Trail. This site serves as the official website and source of information for the Appalachian Trail. The new website contains a wealth of information for hikers, from novice to experienced. It covers such hiking topics as food and water, camping and shelters, how to follow Trail markings, clothing and gear, health and safety, hiking with groups, families and dogs, regulations and permits, and Leave No Trace practices. It also provides anyone attempting to hike the entire Appalachian Trail with vital information, such as how to prepare for your journey, when the best time to start is, sample itinerary plans, and updates on the Trail. The ATC’s interactive map, built with Google’s mapping technology, allows users to explore multiple dimensions of the A.T. to aid in planning a hike. Visitors can zoom in to see topography, terrain, and satellite imagery as well as information on and photos of shelters and vistas. The map also shows parking locations and provides driving directions. The website also features an in depth look at the history of the Appalachian Trail, along with a detailed description of the ATC and its current programs & initiatives. For those looking to give back to the Appalachian Trail, online visitors have a searchable database of volunteer opportunities based on their location and interest. Individuals are also invited to become a member of the ATC to help support its mission and vision. New features include a detailed list of the names of all reported 2,000-milers. The ATC also announced its plans to launch “my A.T.”, an online portal for A.T. enthusiasts, in the coming months. To view the new and improved site or make a donation, visit www.appalachiantrail.org. NPS Digest is reporting this morning that a local resident committed suicide on a trail in Shenandoah National Park late last week. A 53-year-old Luray man was found dead on the Mary’s Rock Trail, part of the Appalachian Trail, about a half mile from the Panorama parking area. The body was found by a couple hiking the trail. The couple had met the man on their way up the trail and described having a pleasant conversation with him before they continued their hike. Upon their return, they found the man lying along the trail, a victim of an apparent self-inflicted gunshot wound to the head. Investigators concluded that his death was a suicide. What a horrible situation for the couple that found him, especially after just having contact with him. Slow news day in the Smokies, so I thought I'd show this short film about the early days of Glacier National Park. The video combines historical photos and video clips with comtemporary views of the park in northwestern Montana. Just like the Smokies, Glacier is a hikers paradise with over 740 miles of trails to explore. I've made two trips to Glacier myself. About a year-and-a-half ago, I posted a blog about my hiking experiences in the park if you're ever interested in visiting someday. 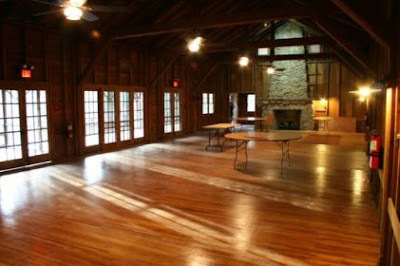 Great Smoky Mountains National Park Superintendent Dale Ditmanson has announced that the Park’s newly-restored Appalachian Clubhouse is now available for public day-use rental. The rustic frame building lies about 9 miles from Gatlinburg, TN, in the heart of the national park adjacent to the Elkmont Campground. The Appalachian Clubhouse is a historic structure constructed in 1934 and is located in the Elkmont Historic District. The structure has been rehabilitated by the National Park Service to its appearance in the 1930’s although with the addition of electricity and indoor plumbing. It was used as a gathering spot by lessees and guests of the Appalachian Club whose members, mostly from Knoxville, built rustic cabins nearby to serve as weekend or summer retreats in the years before the Park was created. The 3,000 square foot, one-story Clubhouse features a large, open meeting hall about 25’ by 60’ in size with exposed wooden beams and massive stone fireplaces at each end that are equipped with gas logs. It is lighted by period-type fixtures suspended from the ceiling and with wall-mounted sconces. French doors along the entire east side open onto a broad, roofed porch overlooking the forest and a small creek. It is equipped with folding chairs, round dining tables and rectangular buffet tables. There is a caterer’s kitchen that has countertops, electrical outlets and a sink where food can be kept warm or served, but it has no cooking facilities or refrigerator. Newly built restrooms located just a few yards from the building accommodate both Clubhouse users and hikers using nearby Jakes Creek and Little River Trailheads. Both facilities are fully accessible. The Clubhouse is available for use from April 1 - November 15. The Clubhouse is rented on a daily basis and may be used from 10:00 AM through 8 PM. The rental fee is $400 per day, Monday through Thursday, and $600 per day Friday through Sunday. Group size is limited to 96 people. Reservations and more information including a map and photographs are available at www.recreation.gov. Last week Christine Hoyer from the Trails Forever Project provided a quick update, including several photos, regarding trail improvement projects during spring break. Students from the University of Virginia, New York University, and Calvin College provided plenty of sweat equity on projects along the Smokemont Nature Trail, Smokemont Livery Trail, and Rich Mountain Loop Trails. You can click here to read her report. A couple of weeks ago I posted live video streaming of a bald eagle family with three young hatchlings in Decorah, Iowa. Yesterday, the Channel Islands National Park off the coast of California announced that they have also set-up a live webcam feed for a pair of nesting bald eagles. To view the webcam, please click here. I should also note that there are some great pictures in the eagle forum the park set up. Speaking of the Decorah webcam, the three young eagles are moving around the nest a little bit more, and appear to be doing fine. You can click here for an updated view. Beginning yesterday, the Blue Ridge Parkway will be closed to all traffic from Milepost 232.5 at Stone Mountain Overlook to Milepost 244.7 at Basin Cove Parking Overlook. The closures will last until mid-summer of 2011. Detour traffic signage will direct Parkway visitors around the closure area via NC Route 18 and US Highway 21 through Laurel Springs and Sparta. Upon completion of the second phase of construction, additional closures and detours will follow between Milepost 218 near Cumberland Knob and Milepost 238.5 near Doughton Park; however, the Doughton Park Campground and Brinegar Cabin will reopen. The Bluffs Lodge and Coffee Shop will be closed for the season. Project work is scheduled to be complete in the Summer of 2012. The Historic Stone Guardwall Reconstruction Project will involve 28 miles of the Blue Ridge Parkway (Milepost 217 to Milepost 245) that contain 32,000 linear feet of historic rock masonry walls. A significant portion of the walls are severely deteriorated due to settlement and the effect of freeze-thaw cycles over the past 75 years. This project rehabilitates and reconstructs the most deficient wall sections, and will restore the structural integrity and historic appearance of this important cultural resource. Please click here for a map of the detour. Hikers, hunters and others who enjoy North Carolina’s mountain landscapes will soon have access to 534 acres of gameland and a national historic trail that are accessible from the Blue Ridge Parkway near Spruce Pine. The Conservation Trust for North Carolina (CTNC) recently conveyed the Rose Creek property to the N.C. Wildlife Resources Commission (WRC). CTNC purchased the property in 2008 from a developer based in Texas. The Mitchell County property has well over a mile of frontage on the Blue Ridge Parkway between mileposts 326 and 328, and includes about 1.3 miles of the Overmountain Victory National Historic Trail, which will be opened to the public once it is cleared and posted. The Overmountain Victory Trail (OVT) traces the route taken by colonial militiamen to the pivotal Battle of Kings Mountain during the American Revolution. The trail, which passes through four states, is a unit of the National Park Service, which estimates that about 1 million people hike public sections of the OVT each year. In the past four years, CTNC has protected three properties that contain sections of the OVT, purchasing Rose Creek and the 101-acre Jackson Knob Cove tract, and facilitating the state’s acquisition of a conservation agreement on a 1,488-acre property owned by CSX railroad. The property will be managed by the WRC subject to an agreement among the commission, CTNC and the N.C. Clean Water Management Trust Fund to ensure public access, water quality protection and sound wildlife habitat management. For more information on this land exchange, please click here. The Outdoor Foundation published its annual Outdoor Recreation Participation Report yesterday. In the latest study, the Outdoor Foundation reports that the rate of participation in outdoor recreation in the United States remained solid in 2010, and at the same level seen in 2008. Nearly half of Americans ages 6 and older, or 137.9 million individuals, participated in at least one outdoor activity in 2010, making 10.1 billion outdoor outings. The research shows significant increases in adventure sports such as kayaking, backcountry camping, climbing and adventure racing, as well as a slight increase in youth participation rates. * Bicycling (BMX), up 30.8 percent, or 828,000. Since 2006 there has been a downward trend in youth outdoor activities (ages 6 to 17), however, the report shows a slight uptick in 2010. Hiking was the fifth most popular youth outdoor activity (ages 6 to 24) last year, with a participation rate of 12.3%, or 9.7 million participants. Among all age groups (6+), day hiking saw a slight decline of 0.2% in 2010 versus 2009, while backpacking reported a 9.2% increase during that same time frame. My guess is that the hiking participation numbers spiked in 2008 as a result of the recession. Those rates have stayed elevated over the last three years, likely due to the fact that hiking is a relatively inexpensive activity. Published annually by The Outdoor Foundation, the 2011 Outdoor Recreation Participation Topline Report 2011 is derived from 40,000 online interviews conducted in January 2011/early February 2011. Respondents came from a nationwide sample of individuals and households from the U.S. Online Panel operated by Synovate. A total of 15,086 individual and 23,656 household surveys were completed. The total panel has over 1 million members and is maintained to be representative of the U.S. population. Over-sampling of ethnic groups took place to boost response from typically under-responding groups. Click here for the Official REI Coupons & Rebates page. A crowd of over 200 people joined the staff and partners of Great Smoky Mountains National Park on Friday, April 15, in dedicating the Park’s new 100% partner-funded Oconaluftee Visitor Center. The new 6,300 square-foot state-of-the-art center was constructed under a $3 million contract with Great Smoky Mountains Association (GSMA) and was donated to the Park at Friday’s ceremony. The project also includes construction of a 1,700 square-foot fully-accessible restroom building and orientation kiosk which are open 24 hours a day. A second donation of $550,000 from the Friends of the Smokies funded the development and installation of the orientation and cultural themed exhibits and informational media. The new center is the first building ever constructed by the Park in North Carolina explicitly to serve as a visitor center. Prior to its completion, visitors entering the Smokies via the Cherokee, N.C. entrance were greeted in the lobby of a 1,700 square-foot facility which was constructed in 1940 by the Civilian Conservation Corps (CCC) as a ranger station and magistrate’s courtroom. Among the invited guests were five former CCC “boys”, now in their ‘80’s and ‘90’s, two of which participated in the construction of the former visitor center. The historic stone building lies just a few yards from the new center and will be used as a multi-purpose meeting space and offices for the visitor center staff. “The most remarkable part about being here today is the level of partnership that the Park has developed with our Association,” remarked Barbara Muhlbeier, the Chair of the GSMA. “It takes a great deal of trust by the Park to allow a private, non-profit organization to undertake a multi-million project. This new center is a product of 58 years of building that trust since our founding in 1953,” she continued. The new center, located 1.5 miles north of Cherokee, N.C. along Newfound Gap Road, is open from 8:00 a.m. to 6:00 p.m. daily. White-nose syndrome in bats continues to spread in the eastern part of the country. In the last week White-nose syndrome was confirmed in caves in Kentucky and at the New River Gorge National River in West Virginia. On Monday, National Park Service wildlife biologists at New River Gorge announced the confirmation of the disease among little brown bats in the park’s abandoned mine portals. And last week, the Kentucky Department of Fish and Wildlife Resources also confirmed the detection of an infected little brown bat from a cave in Trigg County. With the announcement, Kentucky became the 16th state to find infected bats. White-nose syndrome is a disease caused by the fungus Geomyces destructans and is responsible thus far for the deaths of over a million bats in eastern North America. First discovered in a New York cave in February 2006, the fungus has spread rapidly – having been detected as far west as Oklahoma, north into Canada, and south to North Carolina. If you're in need of some new hiking and camping gear, now is a great opportunity to possibly win some with a couple of giveaway contests this week. Steven over at MyLifeOutdoors is giving away a Mountainsmith Tour Lumbar Pack - and he includes multiple ways in which you can enter. Click here for more information. Over at the Adventure Blog, Kraig Becker is giving away a GoLite Men's Litespeed Backpack, and a Sierra Designs Verde 20 sleeping bag. For details on how to enter, just click here. Late last week Chimney Rock State Park reopened the Outcroppings Trail, a trail that leads from the upper parking lot to the Chimney stairs. The reopening restores access to Chimney Rock and all the natural features above it, including Devil’s Head, the Opera Box and the Skyline Trail to Exclamation Point — the highest peak in the Park at 2,480 feet. The Outcroppings Trail’s upper staircase reconstruction is one of two major capital improvement projects designed to improve Chimney Rock’s accessibility and upgrade some of the Park’s most popular trails to ensure public enjoyment for years to come. The new Outcroppings staircase allows for two-way traffic, can accommodate more guests and offers safer, easier egress from the Chimney area. Chimney Rock at Chimney Rock State Park’s other major capital improvement project now in progress is the complete modernization of the Park’s elevator. The original elevator came into service in 1948 – 63 years ago – and although it was fully renovated in the mid-80s, it is due for this improvement. Nearly every part, including the elevator car, will be upgraded or replaced to increase reliability, speed and capacity, and to preserve access to the Chimney for everyone, including guests who are unable to hike the Outcroppings Trail. During this time, the Sky Lounge Gift Shop & Deli will be completely renovated. Both projects are scheduled to be finished by the end of 2011. Great Smoky Mountains National Park visitors can expect minor delays between now and May 23 while work is underway to repave the Gatlinburg Bypass and the 1.5 miles of Newfound Gap Road (U.S. 441) just south of Gatlinburg, TN. From this morning, April 18 through Thursday afternoon, April 21 there will be single-lane closures along the 1.5 mile segment of Newfound Gap Road between Gatlinburg and the Sugarlands Visitor Center while a contractor seals cracks and patches potholes. During the two weeks of May 2 and May 9 the Gatlinburg Bypass will be closed from Monday mornings until noon on Fridays. Those closures will be in effect 24 hours a day because both lanes will be blocked while short sections of the road base are excavated and rebuilt and the expansion joints are replaced in the Ski Mountain Road overpass. During the weeks of May 16 and May 23 motorists will again find single-lane closures between Gatlinburg and Sugarlands Visitor Center from Monday mornings until noon on Friday as that road is re-paved. Normal traffic flow will be restored on all the weekends from noon on Friday until 6:00 a.m. Monday. During National Park Week (through April 25), the Great Smoky Mountains Association is giving away its Best of the Great Smoky Mountains app. The comprehensive app contains a bundle of six guides to help plan your trip to the Smokies - or experience the park without leaving the house. To download your free app from the iTunes website, just click here. 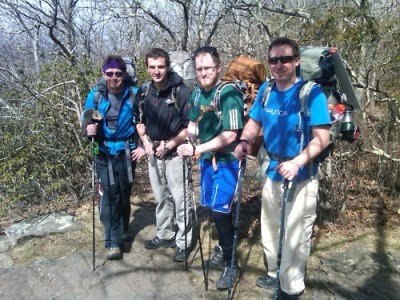 On March 2nd James Gower, Christopher Danger Mendrala, Erik Christiansen, and Mike Healy left the trailhead at Springer Mountain, Ga. in their quest to hike the entire length of the Appalachian Trail. Although reaching Mt. Katahdin in Maine was their ultimate destination, it wasn't their only goal. The four are also hiking the 2180-mile trail in order to raise money for the Mufindi Highlands Orphans Project, a small charitable effort in rural Tanzania that helps orphans, vulnerable children, and individuals living with HIV/AIDS and their families. In particular, the four hikers hope to raise $25,000 for the construction of the Mdabulo General Hospital in Mufindi, Tanzania. The Mufindi Highlands Orphans Project has already built a school, six dormitories and an AIDS testing clinic for the people of Mufindi - all critical pieces of infrastructure that did not exist five years ago. However, the next step is to build a full service hospital for this region in which one in five people are infected with AIDS. To date, with roughly 600 miles under their belt, the four hikers have raised almost $9000. If you would like to follow along on their odyssey, find more information on regarding their fund raising goals, or to just donate, please click here. Looking for a new GPS device for your next hiking adventure? You might be able to snag one for free if you're lucky enough to win the Outside Magazine Sweepstakes for a Garmin GPSMAP® 62. The Garmin GPSMAP® 62 Handheld GPS Navigator features a rugged, waterproof navigator with a 2.6-inch, sunlight-readable, 65-K color TFT screen, 160 x 240 pixel resolution, and a built-in worldwide basemap with shaded relief. It also supports BirdsEye Satellite Imagery and geocaching GPX files for downloading geocaches and details straight to your unit. The sweepstakes ends on May 9, 2011 at 11:59 p.m. EST. To enter, please click here. A section of the Appalachian Trail in the Chattahoochee National Forest was closed to camping yesterday due to persistent bear activity and improper food storage by hikers, and will remain closed until further notice. The closed section is between Neels Gap and Jarrad Gap in northeast Georgia. Other areas impacted by the closure include the Byron Herbert Reece Trail, Dockery Lake Recreation Area, Duncan Ridge Trail, Lake Winfield Scott Campground, Springer Mountain Trailhead, and Woody Gap Trailhead, as well as the Blood Mountain Shelter and the Woods Hole Shelter. Day hiking is still allowed in this area, however, any camping on side trails should take place at least one-quarter of a mile from the Appalachian Trail. You can click here for a map of the closed area, or you can call the U.S. Forest Service at (706) 745-6928 if you have any questions. To kick-off National Parks Week, Nature Valley announced earlier in the week its continued commitment to the National Parks Project. Launched by Nature Valley in April 2010, the National Parks Project supports the National Parks Conservation Association (NPCA) and will contribute up to $500,000 in 2011 to support its work to preserve America’s national parks. There are few places in our country that provide as much beauty and wonder as our national parks, and preserving them for future generations is not an easy task – years of underfunding and natural threats challenge the parks on a daily basis. The national parks are not only important for preserving America’s heritage, but also for maintaining healthy ecosystems. In 2011, Nature Valley will make a $400,000 flat donation to the NPCA, and will donate up to $100,000 more when consumers enter their UPCs from specially-marked packages online, beginning in June 2011 and ending October 31, 2011. To learn more about the project and for information about donating to the NPCA, visit PreserveTheParks.com. The Wilderness Society and renowned artist Robert Johnson will host a three-day workshop at the Wildacres Retreat Center in Little Switzerland, North Carolina, May 12-15. Limited to just 18 people on a first-come, first-serve basis, the "nature journaling workshop" is designed to give artists of all abilities (or even lack-there-of) the opportunity to see some of the state's most beautiful places through new eyes. The focus on observation, drawing, and painting techniques will take place on field trips to ecologically-rich areas in Western North Carolina. The workshop will take place at the Wildacres Retreat Center in Little Switzerland, and meals and art materials are included. Cost is $490 per person based on double occupancy, and $600 per person based on single occupancy. No previous artistic experience is necessary or expected. To enroll, readers can contact Jill Gottesman at The Wilderness Society's North Carolina office at (828) 587-9453, or email. Next month is Trail Days in Damascus, Virginia. Trail Days is the annual Woodstock for hikers. It’s the mother of all hiking gatherings. It’s a celebration of all things Appalachian Trail. And it all happens in tiny Damascus, Virginia, also known as Trail Town, USA where the Appalachian Trail, the Virginia Creeper and the Iron Mountain Trail slice through the middle of town. Each year Damascus becomes the destination point for thousands of thru-hikers, veteran hikers and those who just love hiking and the Appalachian Trail. It's recognized as the largest trail event in the world, and many A.T. thru-hikers will time their hike in order to be in town in mid-May for the annual three day festival. Rangers at Great Smoky Mountains National Park have announced plans to begin a series of DUI vehicle checkpoints and traffic patrols this weekend in an effort to provide a safer visit for the approximately 20 million people who drive through the Park or travel the Gatlinburg/Pigeon Forge Spur and Foothills Parkway each year. The Smokies has received $25,000 from the U.S. Department of Transportation, National Highway Traffic Safety Administration, to fund several waves of DUI reduction activities in 2010-2011. DUI checkpoints are scheduled on the Gatlinburg Pigeon Forge Spur this weekend and near Park’s Cherokee Entrance the weekend of April 29. The Park has also scheduled Saturation Patrols in various locations over the next couple of weeks. On Wednesday, May 4th, come out to the REI store in Asheville to learn about the "Trails Forever" trail-care program and how rangers and volunteers are making great things happen in Great Smoky Mountains National Park. Trails Forever is a unique opportunity for anyone who loves the Smokies and its trails to contribute to its lasting preservation - through donation or volunteer time ("sweat equity"). Ready to take the next step? After the presentation, get ready to roll up your sleeves for fun-filled workday in the Smokies on May 21st. REI and volunteers will be working with the awesome Great Smoky Mountains National Park Trail Crew to improve drainage and trail tread, and lots of stuff you never dreamed of. More details provided at the presentation. The Friends presentation will be from 7:00 p.m. - 8:00 p.m., and is free. For more information, please click here. Win a trip to Glacier National Park and enjoy a vacation as big as all outdoors - worth more than the $3000. 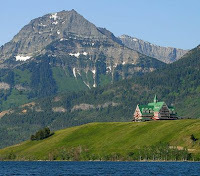 * Two (2) Roundtrip Amtrak tickets for Roomette Sleeping Car Accommodations on Amtrak to Glacier National Park, from the Amtrak station closest to the winner’s residence. If you've never been to Glacier N.P., don't miss out on at least trying for this. Glacier is pretty spectacular....to put it mildly.... To enter, please click here. Great Smoky Mountains National Park officials announced today a one-day closure of the Laurel Falls Trail on Tuesday, April 19th for litter clean-up and graffiti removal. Mangers say that the closure will both improve the experience of hikers and reduce the likelihood of bears being attracted to the litter and food waste along the trail. The Trail closure will only affect the 1.7-mile paved section from the trailhead on Little River Road to Laurel Falls. Not only will trash will be cleaned up from the Trail itself, but personnel will be rigging ropes to safely remove litter that has been discarded over the side of the Trail. A full closure was deemed necessary to provide for the safety of visitors and the workers. Employees will also be removing graffiti that has been building up over the years. Graffiti including such things as people’s names and the dates they were in the park can be found on rocks and trail markers along the route. Both littering and defacing Park features with graffiti are illegal and Park visitors are advised to refrain from doing either. The Laurel Falls Trail is highly used due to its low-moderate difficulty rating, its handicapped accessible features, and its accessibility from a main road. Paper and aluminum litter is not the only form of trash that accumulates and causes problems. The trail is expected to be closed from 7 a.m. to 5 p.m. It will be open to all visitors for the remainder of the day once the clean-up is complete. It's 2011 - can you believe people are still littering in a national park...and leaving graffiti for crying out loud!! For more information on hiking the Laurel Falls Trail, please click here. Great Smoky Mountain National Park officials are inviting the public to the Grand Opening and Ribbon-cutting at the Park’s new 100% Partner-funded Oconaluftee Visitor Center just inside the Cherokee, NC entrance to Great Smoky Mountains National Park. The event will take place at 11:00 a.m. Friday, April 15 about 1.5 miles north of Cherokee, NC along Newfound Gap Road. The new Oconaluftee Visitor Center is the first new visitor service facility to be constructed in Great Smoky Mountains National Park since the early 1960’s and is the first structure in North Carolina to be constructed explicitly as a full-service Visitor Center. Since the 1940’s the park has been serving up to 3,500 visitors daily at a small 1,700 square foot building constructed by the Civilian Conservation Corps for use as a Ranger Station. 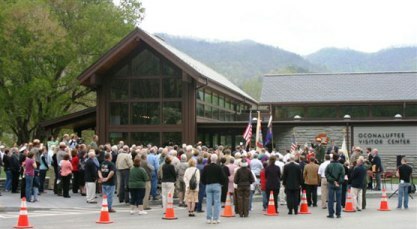 The new 6,300-square-foot visitor center and adjacent 1,700-square-foot comfort station were constructed and donated by the Great Smoky Mountains Association at a cost of $3 million. The Friends of Great Smoky Mountains National Park provided over $550,000 to fund the visitor orientation and museum components. The theme of the new facility is the rich cultural history of the Smokies ranging from pre-historic times, through the arrival of European settlements, logging, the Park’s Creation, and the contributions of the Civilian Conservation Corps. The center was designed from the ground up to be a model of energy efficiency and sustainability. It incorporates a broad suite of features including geothermal wells, solartube lighting, rainwater collectors to supply the restrooms, and extensive recycled building materials. Ditmanson will serve as the Master of Ceremonies at Friday’s ceremony. Guest speakers will include: Michell Hicks, Principal Chief of the Eastern Band of Cherokee Indians, Terry Maddox, Executive Director of the Great Smoky Mountains Association (GSMA), Barbara Muhlbeier, Chair of the GSMA Board, the Reverend Dan Matthews, Chair of the Board of Friends of the Smokies, Freddie Harrill of Senator Kay Hagen's staff, John Mitchell of Senator Richard Burr’s staff and Boyce Dietz representing Representative Heath Shuler. The Park is also pleased to have the Color Guard from American Legion Steve Youngdeer Post 143 to present the colors. Miss Cherokee, Tonya Carroll, will lead the group in the Pledge of Allegiance. The current Chimani suite of national park apps include Acadia National Park, Cape Cod National Seashore, Cuyahoga Valley National Park, Grand Canyon National Park and Yosemite National Park. Each of the five national park apps delivers constantly updated content, including ranger led activities, free shuttle bus schedules and news alerts. Users can view sunset and sunrise times for the most memorable scenic overlooks, access tide schedules along the coast, review lodging options, plan hikes, and much, much more. The national park apps also include an audio tour designed to work while visitors are driving, walking or taking the shuttle buses around the parks. Each of the Chimani iPhone apps can be downloaded from Apple's iTunes App Store and the Android versions from the Android Marketplace (keyword: "chimani"). The iPhone apps will be free, and Android version only $.99 cents, for the entire National Park Week which runs from April 16-26. After that, the apps will return to the regular price of $4.99-$9.99. Chimani, LLC plans to release iPhone apps for Grand Teton, Great Smoky Mountains, Olympic, Rocky Mountain, Yellowstone, and Zion National Parks this spring. For more information, please click here. I heard a few rumblings about this a few months ago, but wasn't sure if it was true or not. But now comes confirmation from a press release that Jennifer Pharr Davis will indeed attempt to break the Appalachian Trail’s Overall Speed Record this June. To break the record, she will have to hike the entire 2,180-mile trail in less than 47 days, 13 hours and 31 minutes. Davis is the current holder of the Women’s Speed Record for the fastest thru-hike of the Appalachian Trail. To break the overall record, Davis will have to hike an average of 47 miles a day! She will have trail support from legendary ultra-runner and former AT and Pacific Crest Trail speed record holder David Horton, as well as veteran AT expert Warren Doyle and Davis’ husband, Brew Davis. Her record-breaking fastpacking career and influence in the industry is remarkable, given that she picked up the sport just six years ago. Davis wrote a memoir, Becoming Odyssa, sharing an intimate look at how thru hiking can help shape a person in many ways. The book, released in the fall of 2010, details how Davis, as an inexperienced hiker fresh out of college, tackled a steep learning curve on the Appalachian Trail, learning about herself and falling in love with the sport along the way. 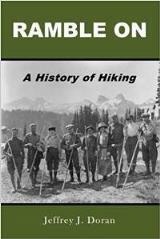 The book has been applauded by seasoned thru hikers, but also inspires adventure, strength and discovery on a broader scale. Davis recently wrote two guide books, Best Hikes Near Charlotte and Best Easy Day Hikes Charlotte. She is the owner of the Blue Ridge Hiking Company, which offers coaching, guiding and public speaking services. Jennifer has hiked more than 9,000 miles of long-distance trails and has trekked on six continents. In addition to the Women’s speed record on the AT, Jennifer also holds endurance records on the Long Trail and the Bibbulmun Track. She has also completed Ironman Florida and multiple road marathons and 50k and 50 mile trail marathons. Jennifer lives in North Carolina with her husband and hiking partner, Brew Davis. Late last month Garmin introduced brand new microSD™/SD™ cards for what they are calling the Trailhead Series. These are highly detailed 24K topographic maps for both the Appalachian Trail and the Pacific Crest Trail (no word yet on the Continental Divide Trail). The maps feature terrain contours, topo elevations, summits, parks, coastlines, rivers, lakes, geographic points, as well as a fully routable trail. 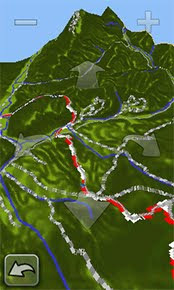 * Highly detailed digital topographic maps for the Appalachian Trail, comparable to 1:24,000 scale USGS maps. * Contains a fully routable trail from beginning to end, plus basic road coverage available as a reference. * Includes national, state and local parks, forests, recreational and wildlife area boundaries. * Contains detailed hydrographic features, including coastlines, lake and river shorelines, wetlands and perennial and seasonal streams. * Includes searchable points of interest, such as geographic place names, campgrounds, scenic lookouts and picnic sites, businesses and more. * Displays 3-D terrain shading and digital elevation model (DEM) shaded relief on compatible devices to help estimate terrain difficulty. * Features Bureau of Land Management township, range and section information and USGS quad locations. * Includes coverage for the Appalachian Trail, plus 10 miles of extended coverage on each side of the trail. For more info on the Appalachian Trail SD Card, please click here. Exotic locations, breath-taking scenery, and once-in-a-lifetime experiences await three lucky winners in the co-sponsored Sierra Designs and Alaska Mountain Guides ‘A Year of Adventure’ sweepstakes. The ‘A Year of Adventure’ consumer sweepstakes offers contestants an incredible opportunity to learn mountaineering skills in Ecuador, win a trek to Everest Base Camp, or access untracked powder via helicopter in the Alaska backcountry. Premier guide service Alaska Mountain Guides will lead the trips and Sierra Designs will supply apparel and equipment. Learn mountaineering skills while experiencing the cultural and environmental diversity of Ecuador with the Mountaineering in Ecuador sweepstakes. This sweeps goes live on April 8 with a winner drawn after the sweepstakes closes at midnight on August 15. Equipment prize pack will include SD Mountain Meteor 3 tent, Arrow Rock 15 sleeping bags, Revival 65 packs, and Mantra Fusion Jackets. Spend three weeks in Nepal with the Alaska Mountain Guides, trekking through the Himalayan Mountains to spend a night above 17,000 feet at the foot of the world’s tallest peak. The Everest Base Camp sweepstakes launches on August 16 and closes on December 17 with a prizewinner randomly selected and notified the next day. Sierra Designs prize pack will include SD Convert 3 tent, Revival 50 packs, Mantra Fusion jackets, and Fusion Pants. Win our third and final sweepstakes and you’ll float through untracked powder on seldom-skied peaks in the Alaskan backcountry. The Heli Skiing in Alaska sweeps will start on December 18. Contestants will be able to enter until midnight on April 17, 2012 with a winner drawn the following day. The Heli Skiing prize pack will include Sierra Designs Ministry 40 packs, Gnar down jackets, Mantra Fusion jackets, and Fusion pants. Although the U.S. escaped a government shut-down over the weekend, thus keeping our national forests and parks open, by no means are we out of the woods yet. In fact, the latest show-down was but a mere skirmish for what’s approaching law makers over the next several months. Our national parks could again be threatened when the U.S. reaches its debt ceiling as early as mid-May. In the next couple of weeks Congress will be forced to reach a compromise between raising its credit limit and making further spending reductions. In September, however, the mother of all budget battles will take place when Congress debates the budget for fiscal year 2012, which begins October 1st. Ironically, this is all fittingly taking place during the 150th Anniversary of the year the Civil War began. As many of you are already aware, most state budgets are in no better shape. Politicians on all levels of government have pursued policies of irresponsible spending for far too many years, creating unsustainable debt that is now having a profound effect on state parks across the country. A quick Google search shows a number of states already have, or are looking to close state parks, including Illinois, California, New York, Florida, Minnesota, Washington, Oklahoma, Utah, New Jersey, Arizona and Colorado. Back in February the governor of North Carolina proposed closing state parks on two days a week in order to make ends meet. The Michigan Department of Natural Resources recently announced plans to close 23 state forest campgrounds. Lawmakers in Florida are considering legislation that would allow corporations to advertise on hiking trail signs. In California, Coca-Cola is already funding interpretive signs that include a small corporate logo at the bottom. Virginia, Georgia and New Hampshire have each explored corporate sponsorship ideas over the last year as well. Idaho's cash-strapped state parks system is also considering corporate sponsorships in order to help keep its parks open - including corporate logos on ranger uniforms. And then, how about this: Colorado, Pennsylvania and Ohio are currently debating whether to allow gas and oil drilling on state park lands. Still, many other states are staring in the face of huge budgets cuts that will impact park personnel, park programs, maintenance projects, operating hours and various visitor services and amenities. For years most people would have assumed that pollution, encroaching development, invasive species, and overcrowding and overuse were some of the most important issues facing our parks. However, the greatest threat to our parks is clearly unsustainable spending that is plunging our country into an overwhelming amount of debt. As I’ve warned in the past, parks will be one of the easiest things to cut during a budget crisis. The April edition of Blue Ridge Outdoors Magazine, published earlier in the week, includes a list of eight weekend backpacking trips for those looking for new territory to explore in the Southern and Central Appalachians. For more details on each of these hikes, trip itineraries, and to read the article, please click here. Next month is the 53rd Annual Roan Mountain Spring Naturalists' Rally. The three day rally, May 6-8, 2011, features guest speakers, nature programs, and several hikes and tours in and around Roan Mountain. For more information, please click here for the rally brochure. Next weekend is the 15th annual Trailfest in Hot Springs, North Carolina. Trailfest is a celebration of the Appalachian Trail, which runs right down Main Street. Activities and attractions include live music, local foods, a chili cook-off, local arts and crafts. On Friday, April 15th, is a free rafting and river cleanup trip that includes breakfast and lunch at Huck Finn River Adventures. Then, later that evening, from 5-7 p.m., is a spaghetti dinner at the Community Center. On Saturday, April 16th, is all-day music, drawings, hiker games, and at 4:45 p.m. the World Famous Duck Race in Spring Creek. The winner of the plastic duck race takes $100. Each Wednesday between now and 05/11/2011, Smoky Mountain rangers will host a free 2.2 mile roundtrip hike to learn about the famous Walker Sisters of Little Greenbrier. Ranger will discuss the adaptation and the flexibility required of these strong-willed sisters to live in the old-fashioned way. The hike is rated easy to moderate in difficulty. The hikes start from the Little Greenbrier Schoolhouse near Metcalf Bottoms Picnic Area each Wednesday, and last from 1:00 PM to 3:30 PM. In the latest Carolina Mountain Club newsletter is a schedule for invasive plant removal projects along the Appalachian Trail. The Appalachian Trail Conservancy and its partners will be holding several invasive plant removal days along the Tennessee-North Carolina border over the course of the next several months. For more information on any of these, please click here or contact John Odell jodell@appalachiantrail.org. Well, it could be a girl. How can you tell the difference anyway? Earlier in the week I posted a live video feed of a Bald Eagle family in the process of giving birth to three hatchlings. The young eagle family is being streamed online 24/7 from their nest atop a tree at a fish hatchery in Decorah, Iowa via the Raptor Resource Project. If you want to see the live video feed, please click here. Two hiking blogs began gear giveaway contests this week - and the only thing you need to do to enter is to leave a comment. HikingBoots.com is giving away a Hi-Tec Salt Creek Shirt. Just tell HikingBoots.com where you'll sport the shirt and why. The HikingBoots.com staff will then select the best comment and will announce the winner on Tuesday, April 19. The Hiking Lady is offering one lucky reader a Eureka Casper 15 degree sleeping bag. Just leave a message on the Eureka Facebook page before April 13th. Cloudland Canyon State Park in Trenton, GA will be hosting a series of guided wildflower hikes during the month of April. The hikes will provide guests with the experience of seeing many of the rare and beautiful wildflowers of the Cumberland Plateau in northeastern Georgia. The three hikes will take place on Saturdays, April 9th, 23rd, and 30th. Hikers will need to meet at the park's interpretive center at 10 a.m. Each hike is limited to 40 participants. To learn more, click here or call 706-657-4050. Also coming up at Cloudland Canyon State Park is the Outdoor Adventure Weekend during the weekend of April 15 thru April 17th. The weekend includes a variety of outdoor pursuits such as orienteering, outdoor yoga, archery, disc golf, backpacking basics, caving, fishing, tractor rides, kid's activities, a climbing wall, night hikes, hunting and fishing simulators, and concessions. Click here for more information or call 706-657-4050. Great Smoky Mountains National Park personnel are working with emergency management authorities from the city of Gatlinburg, Sevier County, and the state of Tennessee in responding to the catastrophic failure of the equalization tank at the city's wastewater treatment plant, which resulted in a massive sewage spill and the deaths of two employees yesterday morning. One wall of the main equalization basin, measuring 75 feet by 30 feet by 12 feet, collapsed and released an estimated 1.5 million gallons of untreated effluent into the West Prong of the Little Pigeon, a park-owned stream that bisects the Gatlinburg-Pigeon Forge Spur of the Foothills Parkway. Two persons employed by the contractor that operates the facility were killed when the concrete wall crumbled on top of them. Rangers have been assisting the city with overall incident management. Facility management personnel have been providing assistance with an assessment of the plant in hopes that it can resume safe operations in the near term and park resource management personnel will be working with Tennessee Department of the Environment and Conservation personnel to assess resource impacts and the development of short and long term cleanup and monitoring efforts. As of yesterday afternoon, all of the city’s sewage was still flowing untreated into the river. A major weather system moved through the area on Monday night, bringing heavy rains, high winds and snow/ice at the higher elevations in the park. Over two-and-a-half inches of rain fell, significantly increasing the flow into the equalization tank, which may have contributed to the wall failure at the facility. Below is a live video feed of a Bald Eagle in the process of giving birth to three hatchlings. The young eagle family is being streamed online 24/7 from their nest atop a tree at a fish hatchery in Decorah, Iowa via the Raptor Resource Project. The mother gave birth to the first hatchling on 4/2/11, and the second on 4/3/11. A third hatch is expected within the next couple of days. The nest is roughly 80 feet above the ground, is 5-6 feet across and about 5-6 feet in depth, and weighs roughly 1.5 tons! • Little River Road between Metcalf Bottoms and the Townsend "Wye" due to downed trees. • Forge Creek Road in Cades Cove is closed due to mud - this is the access road to Parson Branch Road. Estimated reopening in mid-April. • The LeConte Lodge blog is reporting there were 1.5 inches of snow on the ground as of this morning - and it was still coming down. Each Friday, between 04/01/2011 to 05/13/2011, the Great Smoky Mountains will be hosting a short - easy to moderate - walk where rangers will discuss the war stories of Colonel Thomas and his legion of Cherokees, outposts at Clingmans Dome, Fort Harry, and the Battle of Gatlinburg. The short walks (no charge) will take place from the Sugarlands Visitor Center from 11:30 PM to 2:00 PM. On Saturday, June 25, 2011, is the formal Rededication of Shenandoah National Park in Luray, Virginia. The rededication will celebrate Shenandoah’s 75th Anniversary that will include a full day of activities, beginning with a Rededication Ceremony at 10:00 a.m.
For more information on Shenandoah's 75th Anniversary, please click here. Next weekend, staff at Cumberland Gap National Historical Park and the city of Middlesboro will be gearing up for a community cleanup along Yellow Creek which borders Cumberland Gap National Historical Park. The cleanup will take place on Saturday, April 9 and is a joint effort with Operation PRIDE in Middlesboro. "We are pleased to be working with National Park Service staff to do something good for our community and the park," says Randy Melton, Operation PRIDE Coordinator for the city of Middlesboro. "It's going be to be a great day!" The focus of the cleanup will be removal of litter and recyclables from the banks along Yellow Creek. In addition to cleanup efforts, there will be activities for kids that will be geared toward recycling. "The idea is to get folks together for a day of fun and a little bit of work," says park scientist Amy Wilson. "We encourage anyone that is interested to come out and join us. Every little bit helps." The cleanup will be followed by a cookout at Cumberland Gap National Historical Park in which all participants will be recognized and provided with special prizes for lending a hand and taking pride in their community. Registration for the cleanup will be from 9:00 a.m. until 10:00 a.m. at the park visitor center. For additional information please call Amy Wilson at (606) 248-2817, extension 1115. Anyone who is interested in Operation PRIDE in Middlesboro should contact Randy Melton at (606) 499-3677. Looking for something new and different to do this spring? Every weekend through April 30th, experienced naturalist staff at Reelfoot Lake State Park will be guiding half-day canoe floats through seldom-explored areas of Reelfoot Lake. Canoeists will observe the old-growth cypress forest unique to the area, a heron rookery and an American Bald Eagle’s nest during a leisurely paddle through the swamp. Along the way, an expert naturalist will be on hand to discuss the history and wonders of this natural phenomenon – discussing the variety of aquatic life, birds and other creatures that make Reelfoot Lake their home. The canoe trips depart from Reelfoot Lake State Park's Visitor Center at 1 p.m. on Saturdays and 9 a.m. on Sundays throughout April and last about three hours. There is a cost of $20 per boat if a park canoe is used, and no charge for private canoes. Participants should pack snacks, drinks, a change of clothes, camera and binoculars in a waterproof, floatable container. Reservations are required and can be made by contacting the Reelfoot Lake State Park's Visitor Center at (731) 253-9652. For more information about Reelfoot Lake State Park, including lodging and activities, please call the park’s visitor center at (731) 253-9652 or click here. Looking for a new photo expedition? Try making America’s national natural landmarks your next destination and send the results to the National Park Service’s National Natural Landmarks photo contest. Winning photographs will be featured in the 50th Anniversary Commemorative National Natural Landmarks calendar. The National Park Service’s National Natural Landmarks Program recognizes significant examples of biological and geological features and supports the cooperative conservation of these important natural areas. National natural landmarks are designated by the Secretary of the Interior following rigorous scientific study. These landmarks include features on private, state, municipal, and federal lands. Program participation is voluntary. Not all landmark sites are open to the public. Contest entries will be accepted through June 30. Winners will be announced in September. Each photographer can submit up to three entries. Each photograph must be from a different national natural landmark. Images of the 13 sites featured in the 2011 calendar will not be accepted. Those winning photos can be viewed here.